Viajar é uma atividade que atrai diversos públicos. Há quem queira apenas escapar da realidade e colocar os pés para cima em um hotel relaxante, enquanto outros preferem calçar tênis confortáveis e desbravar cada ponto histórico da cidade. Existem também aquelas pessoas com almas aventureiras que se deslocam pelo mundo para escalar, nadar, pular de paraquedas e fazer trilhas. A local by birth and historian by profession, Carlota is your go-to expert on Porto’s vibrant history. She’ll show you ancient monasteries, chapels and other hidden ruins dating back nine centuries. But old is anything but ordinary: behind every site you visit, there’s an untold story or secret Carlota is ready share. ⠀⠀⠀⠀⠀⠀⠀ For more #AirbnbExperiences created and led by locals, plus lots of places to stay, click the link in our bio. 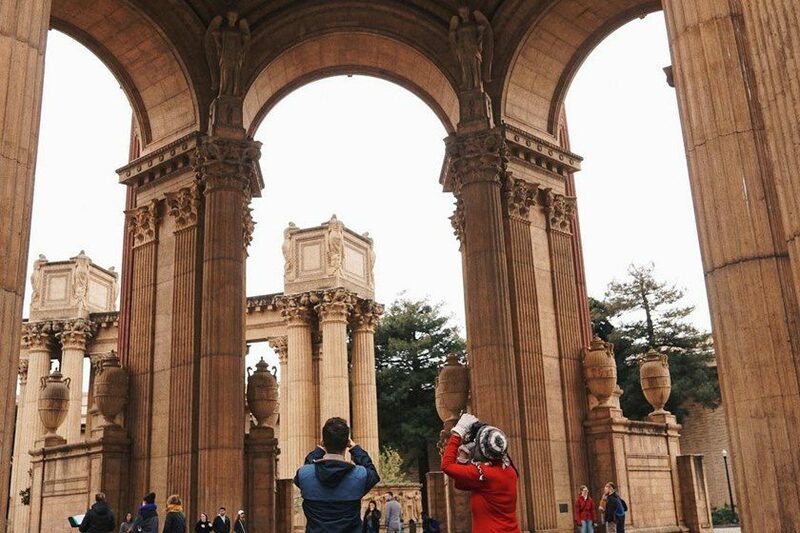 Uma foto de turistas circulando por partes históricas de Porto, em Portugal, foi a mais curtida no Instagram do Airbnb. A experiência é guiada por uma historiadora nascida na cidade e apaixonada pelas capelas e monumentos da região. This dreamscape might look remote, but it’s actually just a half-hour from the city center. And for local ultra-marathoner Fadly, it’s an everyday training ground. Join him for a morning hike up Bukit Tabur to views like this one before coming down to a well-earned traditional breakfast. ⠀⠀⠀⠀⠀⠀⠀ #AirbnbExperiences are now live in Kuala Lumpur. Click the link in our bio to learn more. O local parece de outro mundo, mas só está a uma hora e meia do centro da capital da Malásia. A caminhada na montanha Bukit Tabur é supervisionada por um maratonista, que treina nessa trilha todos os dias. Depois de se exercitar e contemplar a vista de tirar o fôlego, é possível tomar um café da manhã tradicional nas redondezas. Other people’s trash becomes your reason to join Amsterdam’s local do-gooders in clearing the beautiful canals of litter. With Plastic Whale, a nonprofit organization that builds boats from recycled plastic, you’ll simultaneously tour the city in one of these boats while fishing for plastic. And the next time you return to the city, you may end up riding a boat built entirely from your generous contribution. #AirbnbExperiences ⠀ Click the link for more ways to explore Amsterdam’s canals, as well as many great places to stay. Se você gosta de viajar com propósito, Amsterdã tem a atividade ideal para você. Nos pitorescos canais da capital, grupos se juntam para “pescar” o lixo e limpar a água. Além de ajudar a natureza, você pode bater papo com locais e descobrir mais sobre o país. Suzan, aka the Foodie in Barcelona (check out her blog), can show you how to source, create, and eat tapas like a local. Through Airbnb, she’ll take you to some of El Born’s best specialty shops, sharing their stories as she helps you choose ingredients. Then she’ll take you to a nearby park, spread out a picnic blanket, and show you how to whip up authentic tapas using only what you’ve just bought. ⠀⠀ Click the link in our bio for other Barcelona adventures and places to stay. Para provar a autêntica culinária espanhola, a melhor atividade é o tour guiado por uma blogueira gastronômica. Suzan leva turistas até o bairro El Born para saborearem as verdadeiras tapas, comida típica do país, em um piquenique no parque. Jennifer was teaching paddleboard yoga before it was even a thing. With her, you can explore Regent’s Canal while practicing yoga on your board in the floating garden of Paddington Basin. It’s not just a unique way to see the city or find your balance. It’s also a chance to hang out with Clyde, the city’s most famous paddleboarding dog, downward or otherwise. ⠀⠀⠀⠀⠀⠀⠀ Click the link in our bio for more #AirbnbExperiences, plus lots of places to stay. Acompanhada de seu pug Clyde, a anfitriã Jennifer faz os turistas conhecerem Londres de forma única. Ela ensina yoga em cima de uma prancha de stand up pedal e guia um passeio pelo Regent’s Canal.